35 years ago, NRG Systems revolutionized the way wind resource assessment was done. Today, NRG Systems is dedicated to designing and manufacturing smart technologies for a more sustainable planet – that means more renewable energy, cleaner air, and a safer environment for all. Our challenge was to maximize functionality in a 20 x 20 space so we incorporated our rental double deck structure adding a level for a private meeting and hospitality area. 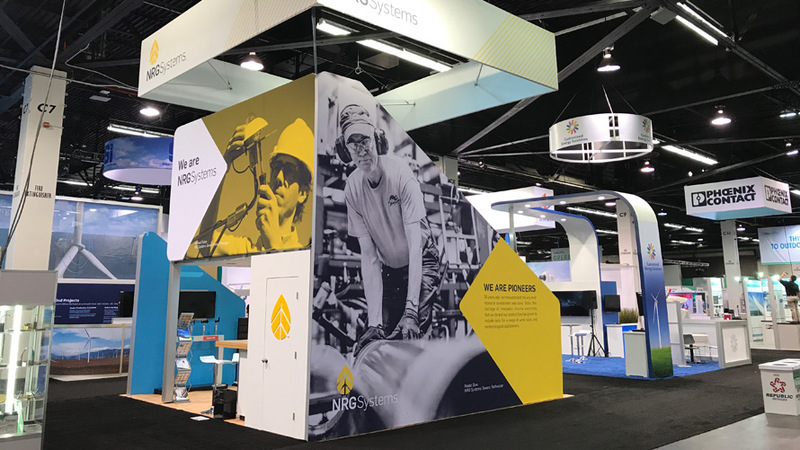 Using the structure of the double deck allowed for more graphic/visual footprint creating a strong presence within the exhibit hall showcasing NRG’s leadership position in the market. The main level of the space was dedicated to casual product demos, utilizing AV as well as real product. 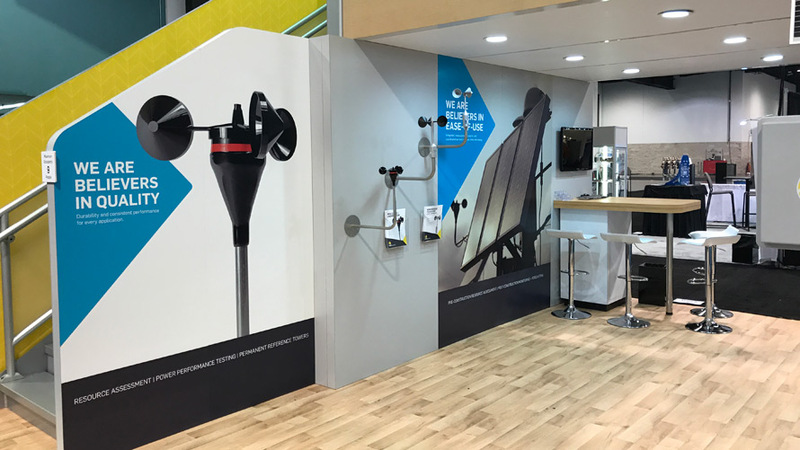 This was the first event rolling out NRG’s updated branding and the result was highly impactful graphics and visuals, standing out on the show floor.